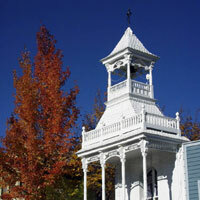 Settled in Sierra Nevada is California’s best preserved Gold Rush town. At 2,500 feet above sea level, Nevada City is surrounded by forest. For thousands of years the area of Nevada City was inhabited by the Nisenan, a Native American Tribe. It was first settled by outside influences at the beginning of the Gold Rush in 1849. Over the next century gold mining and timber harvesting industries diminished. In the 1960s the development of the Golden State Freeway swallowed the core of the already suffering city. City leaders looked to historic preservation as the key to the success of the quaint town’s future. In 1968 it became its own historical district which led to a slow but steady increase in visitors and vitality. 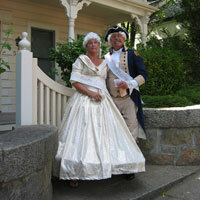 Residents are proud that their city claims a position on the National Register of Historic Places. 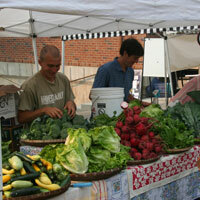 Today Nevada City once again has significant economic, cultural and social substance. It is the county seat and headquarters the Tahoe National Forest. It boasts many fine restaurants, bars, overnight accommodations, two wineries, a Railroad Museum, and a Firehouse Museum. Also noteworthy are the Miners Foundry Cultural Center and the Nevada Theatre, both alive and in full function. The Nevada City School District serves 1,300 students, grades K-8 at three locations. Student test scores are among the highest in the state. Award winning Nevada Union High School is noted for its academic and vocational excellence. The teachers are dedicated, qualified and solidly backed by a community and parents committed to their children’s education. Adjacent to the high school is the Nevada County branch of Sierra College, part of the California community college system. 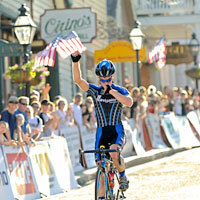 There&apos;s always something going on in Nevada City! Festivals, celebrations, live music, theatre, performances and more! 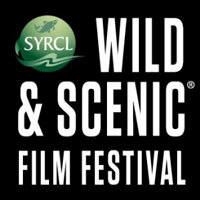 Join filmmakers, celebrities, leading activists, social innovators and well-known world adventurers in historic downtown Nevada City for another incredible selection of films to change your world. 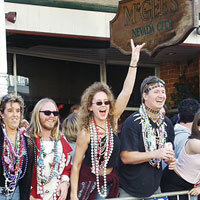 Enjoy a Downtown Parade as this colorful Sierra foothills town again celebrates Mardi Gras in Nevada City. 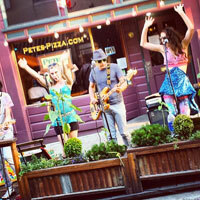 Food and wine, local artists, live music, trunk shows and theatrical performances in downtown Nevada City from 5-9 p.m. 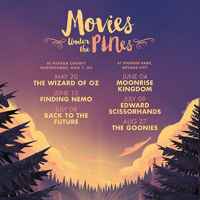 The Nevada City Film Festival, City of Nevada City and the Nevada County Fairgrounds presents Movies Under the Pines, an outdoor cinema experience for the entire family. 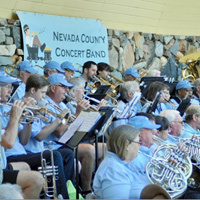 The 80-member Nevada County Concert Band brings back an era where the local Sunday concert was a grand social occasion. Family-oriented, dog-friendly, and FREE. Bring a lawn chair, blanket, and picnic dinner (or enjoy hot dog & ice cream vendors). A colorful parade in Grass Valley followed by a traditional family celebration under the pines at the Nevada County Fairgrounds. Live music and entertainment, food and refreshments, and the Sierra foothills’ largest aerial fireworks display. 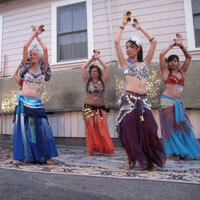 The Annual Summer Nights in Nevada City celebration, an outdoor festival of art and music, will be held three Wednesday evenings in July. The best FREE entertainment for the entire family! 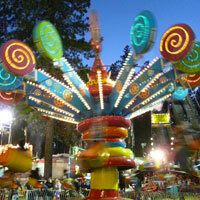 Five days of excitement and fun for Fair-goers of all ages. Enjoy live entertainment, delicious food, carnival rides, animals, and exhibits – in a community-friendly environment and at affordable family prices! 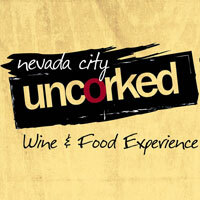 Nearly 20 wineries and restaurants will be participating. Wander through downtown Nevada City, learn the history of our charming town, and enjoy a sampling of local Foothill wines and food. 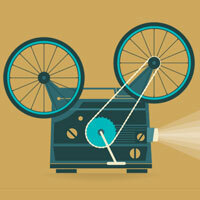 Top independent cinema in the foothills of Northern California. Stellar programming of short and full length films, great audiences and a truly festive environment makes Nevada City Film Festival one of the most innovative, exciting, and fun events on the west coast. 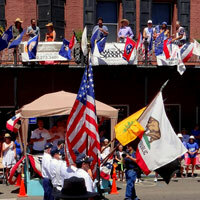 A parade, Revolutionary War Living History Activities in Pioneer Park, the Gold Country Duck Race on Deer Creek and a free outdoor big band concert in the downtown historic district. 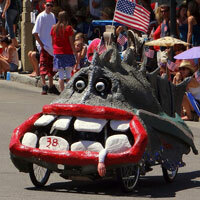 Teams will race nearly 1/2 mile downhill (powered only by gravity) on Nimrod Street in Nevada City, while being judged for creativity, speed and team spirit! Proceeds benefit Pioneer Park. 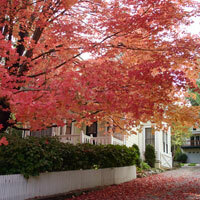 The Nevada City-Grass Valley area is one of California’s best areas to view autumn foliage. The best fall colors are located in the old-fashioned Victorian neighborhoods surrounding the downtown historic districts. 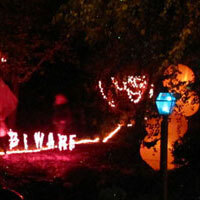 Trick or treating in the historic downtown, Fright Night at Miners Foundry, and local Ghost Tours, makes Nevada City one spooky place to celebrate Halloween. A perfect weekend to experience living history in Nevada County, and to start some Christmas shopping at local craft fairs, festivals and celebrations. 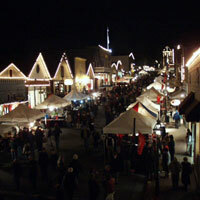 Welcome the holiday season in style in historic Nevada City, a quaint, Gold Rush town nestled in the foothills where the town’s picturesque downtown transforms into a genuine Christmas card come to life.